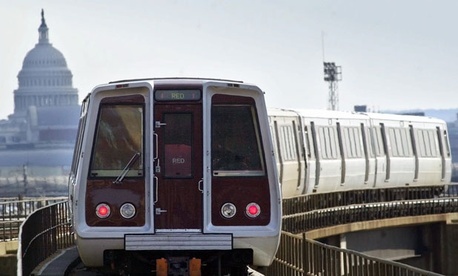 A proposal to end the mass transit subsidy benefit for federal employees to help pay for disaster recovery is off the table. The House Rules Committee rejected the amendment related to the transit benefit offered by Rep. Mick Mulvaney, R-S.C., to the Sandy storm relief bill. The House voted down a separate amendment from Mulvaney that would impose across-the-board spending cuts of 1.63 percent for all federal agencies. The chamber began debate on the emergency appropriations legislation Tuesday afternoon and was expected to vote on the final package in the evening. Mulvaney said he supports providing disaster relief to states affected by Sandy, but that those costs should be offset. “I absolutely support the federal government’s role in situations such as this,” he said in a statement, and reiterated on the floor, noting that he is from a hurricane-prone state. The White House said on Monday that it supports the disaster recovery legislation but opposes spending offsets. “Given the emergency and one-time nature of this supplemental appropriation, and in keeping with the response to Hurricane Katrina, Deepwater Horizon, and other disasters, the administration believes that all funding in the bill should be designated as an emergency requirement and not be offset,” said the statement of administration policy on the bill. National Treasury Employees Union President Colleen Kelley sent a letter on Friday to Rules Committee members asking them to oppose the provisions. Another across-the-board spending cut would “further impede the federal government’s ability to continue providing the critical services the American people rely on,” she said, arguing that agencies already face an 8 percent reduction to their budgets if Congress allows sequestration to move forward. The House is expected to pass the disaster relief bill.